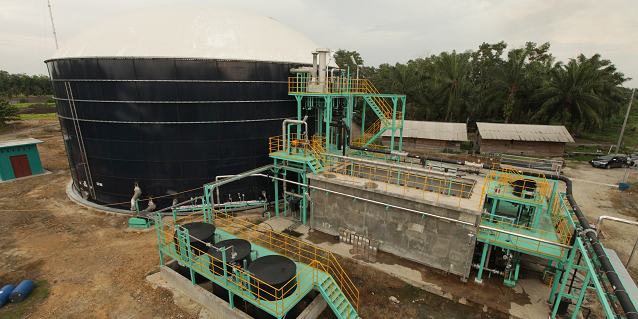 Each biogas power plant can generate up to two megawatts (MW) of power. This serves not only Asian Agri’s mill processing and operations, but also many households in its surrounding communities. 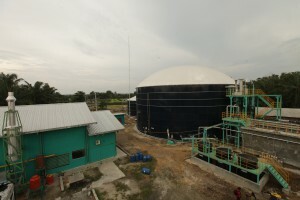 Asian Agri biogas power plant in Buatan, Riau. 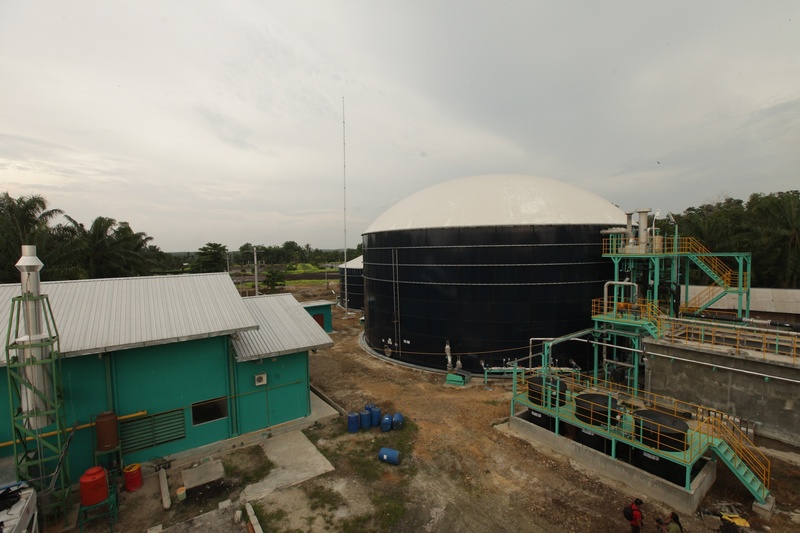 The biogas power plants use the by-products (palm oil mill effluent or POME) from the processing of crude palm oil. The plants are equipped with the state-of-the-art Japanese digester tank technology Kubota Anaerobic Membrane Bioreactor. This accelerates and maximises the process of methane gas formation, which is essential to power generation. The system is environmentally-friendly and different from the conventional practice of treating effluent in an open system, which usually results in methane, a greenhouse gas, being released into the atmosphere. Asian Agri’s biogas power plants capture and channel the methane to a gas engine for power generation. This achieves a 60% reduction in greenhouse gas emissions. Since it contains organic solids, the by-product POME can also be used as fertiliser for crops. There is reduced wastage, as the utility of POME is maximised. Asian Agri’s drive towards sustainability is also exemplified by its diligence in monitoring greenhouse gas emissions in its operations. These include analysing emissions from boiler chimneys and generators, as part of ISO 14001 Environmental Management System procedures. 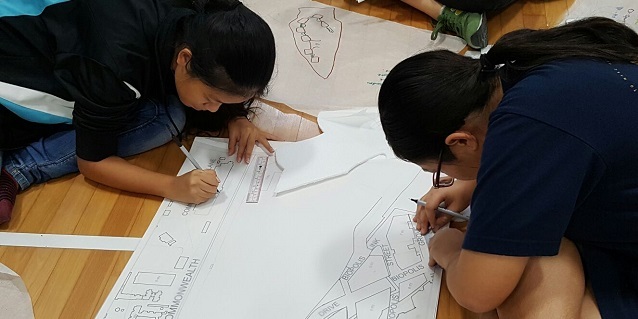 Greenhouse gas calculations are also conducted annually, and independently audited for ISCC (International Sustainability and Carbon Certification) certification. 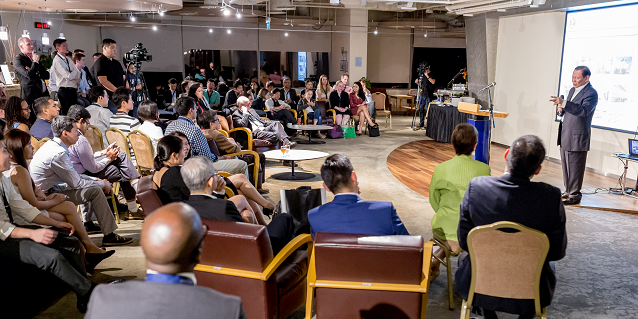 The calculation allows Asian Agri to monitor net greenhouse gas emissions from its plantations and mills, as a means to identifying measures to improve and sustain emission reduction. (from left) Asian Agri Biogas Power Plants in Asahan, North Sumatra; Buatan, Riau; and Taman Raja, Jambi. Asian Agri has been continually and widely recognised for its role in fostering strong mutually beneficial long-term relationships with plasma and independent palm oil smallholders. 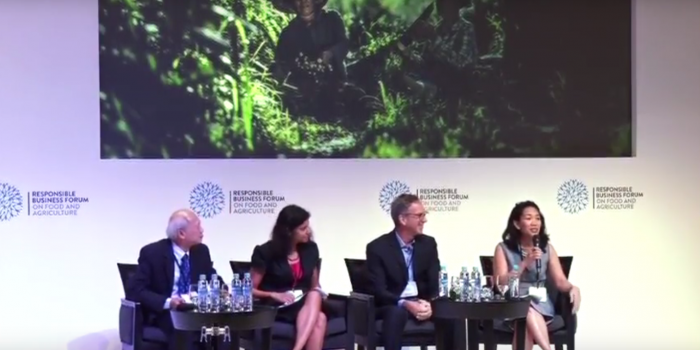 Its forward-looking business leadership allowed it to be one of the pioneers of the Indonesian government initiated plasma programme, not only building the region’s palm oil industry but also building infrastructure, skills, standards and communities. Its five biogas power plants represent a combination of its business urgency to achieve higher productivity and competitive advantage, its social responsibility to raise the living standards of its communities, and its environmentally-conscious stance on reducing emissions. These efforts are boosted by its emphasis in R&D (research and development) and forward-looking technologies. It also aims to build a total of 20 biogas power plants by 2020.